I’m back in the media tower at Road Atlanta and clicking away at my keyboard while open practice adds clouds to the cloudless sky over the track. I swear, it was clear and blue before the drifting started, now we’ve got puffy white clouds everywhere. Coincidence? Probably. Our sharpshooters Yoshi Shindo and Oliver Petalver are still on track right now and I’m going to give you a mix of what they’ve gotten so far today as well as some more shots from yesterday’s practice. 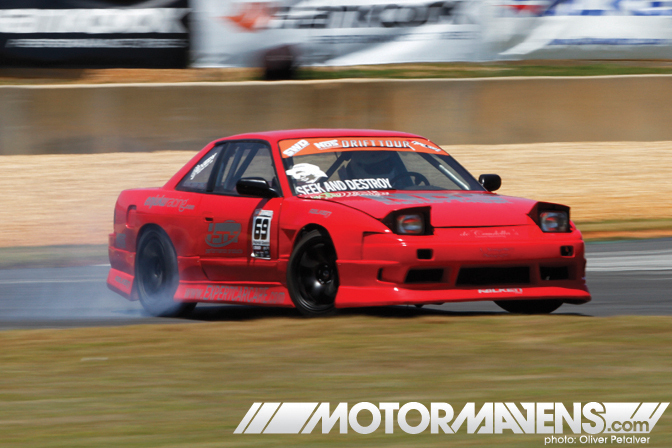 Above, Ryan Kaufman effortlessly pilots his red-orange FC RX7 uphill into the difficult horseshoe. 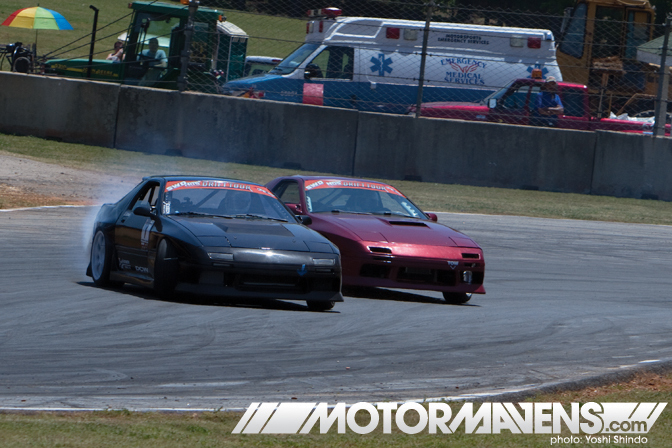 Another FC RX7 making an appearance at today’s pro/am was Jeremy Lowe‘s black rotary twirlin’ machine. Lowe also hails from the land of the flowers (for you non-Spanish speaking folk: that’s Florida) and has been drifting since 2007. He’s looking good here as he slides back down through turn 10b. An Atlanta native, Dominic Frascella, hones in on the clipping point right before he switches back to slide through the horseshoe. 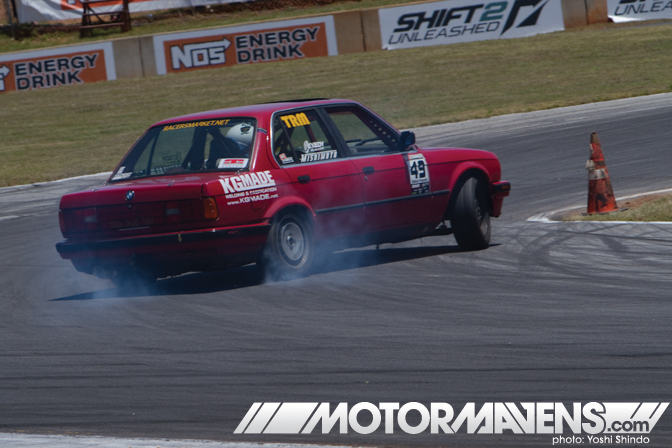 Powered by a turbocharged M50, this not-so-flashy e30 gets the job done, plain and simple. 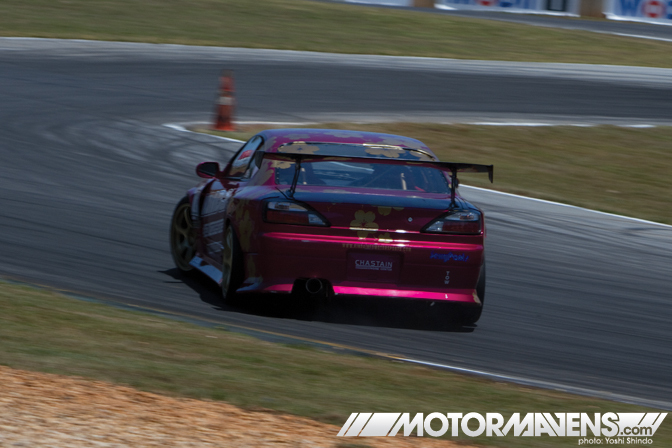 Driven by a man known simply as “A”, the Kindai Motorsports S15 definitely has one of the most JDM liveries on the grid. Metallic pink and falling cherry blossoms? I’m man enough to like it, are you? All joking aside, Mr. A put down some solid runs for the hometown crowd. I couldn’t find too much information on Patrick Goodin so correct me if I’m wrong, but Patrick Goodin is another Florida boy who was holding it down today. He put out a good bit of smoke through the horseshoe and had a solid showing overall. Ryan Kaufman and Jeremy Lowe hang tight at the first corner. Being from Atlanta myself it might be biased of me to say that this could be one of the more difficult courses in the Formula Drift series. 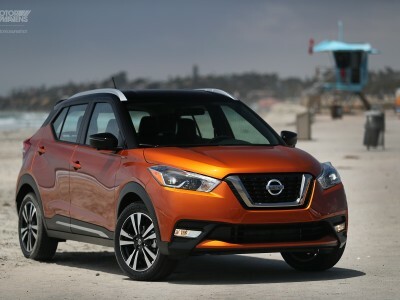 However, I think anyone will agree that slowing from ~80mph speeds (or more) while sideways and sticking to the door of the guy you’re following is an impressive feat no matter who you are. Props to both Jeremy and Ryan for going balls out. 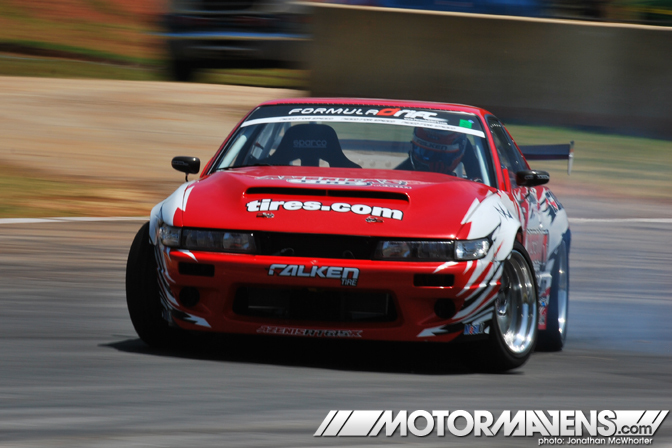 As far as new kids on the block go, Walker Wilkerson is taking the Formula Drift series by storm. A solid showing at Long Beach and impressive practice runs at Atlanta are pointing to big things for the rookie from the Pacific Northwest. Stay on your toes and watch out for this guy, ladies and gentleman. Always consistent, Dai Yoshihara was his usual impressive self here in Atlanta. Lots of angle and even more smoke is the forecast when ever Dai toes the starting line. He is one of the top contenders for sure. 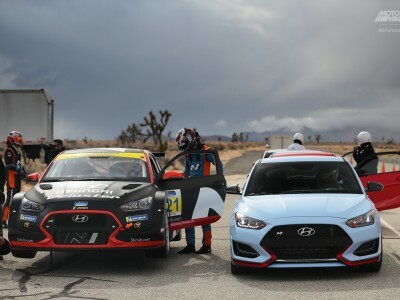 Yesterday and today, all drivers have been pushing extremely hard for faster and more aggressive entries. 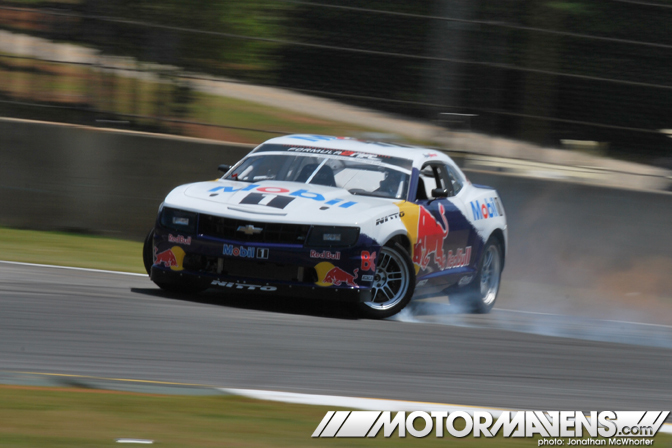 Here you can see Ryan Tuerck in his new Camaro locking up all four as he comes in just a little too hot. Putting on a roof for 2011, Tyler McQuarrie finally had had enough with smoke filling the cabin and opted to leave it outside of the car. That’s a good move, I would say, the amount of smoke billowing from his rear arches would make even the Marlboro Man jealous. Right now qualifying is well underway and I’m going to head out to catch the last bit right before the pro-am competition tonight. Make sure you keep following @MOTORMAVENS on Twitter and keep your internet machine tuned to MotorMavens for more photos and coverage. Florida boys are tearing it up! Which guys are from Florida? …and what part of Florida? There are more from Flowerland, I’m sure they’ll be making some noise! 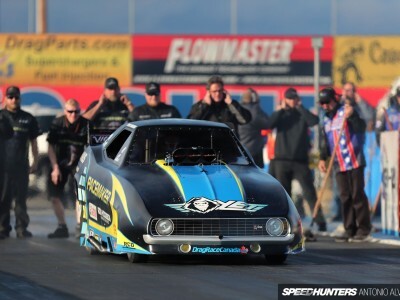 @anon: J.Lowe’s car looked sick! We need to get pics of it up on the site! Did the Mustang that was crashed at practice yesterday make it back out on the track? V8 fans want to know! Maybe we should do a group buy on Mustangs?? Antonio, would you ever drift a Mustang in public? 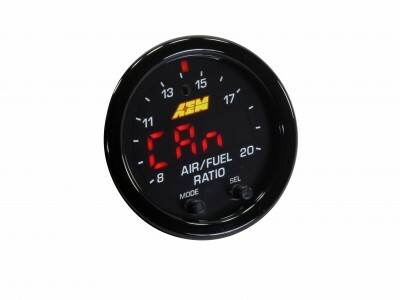 Or would that be sacrilege to the AE86 movement? @Group Buy: Yes! JTP’s car got back on track today looking like nothing ever happened. I never heard what kind of damage he sustained though. @Antonio sfldrifters.com has more info about these guys J.Lowe is from Tampa area. 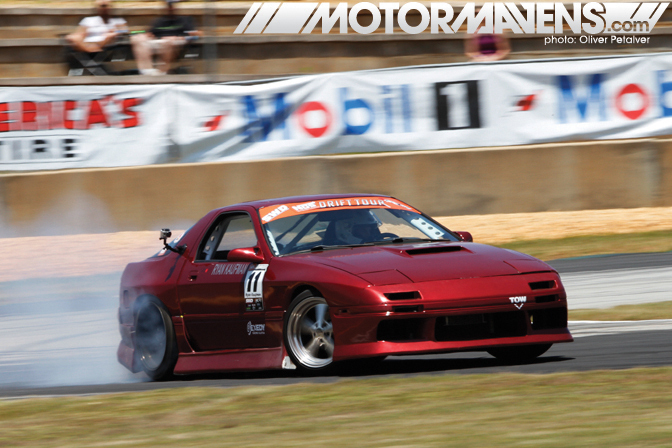 Also Dan Chilton White RX7. @Group Buy: actually, I kinda like Mustangs and Camaros, and I think it would be fun to drive one. 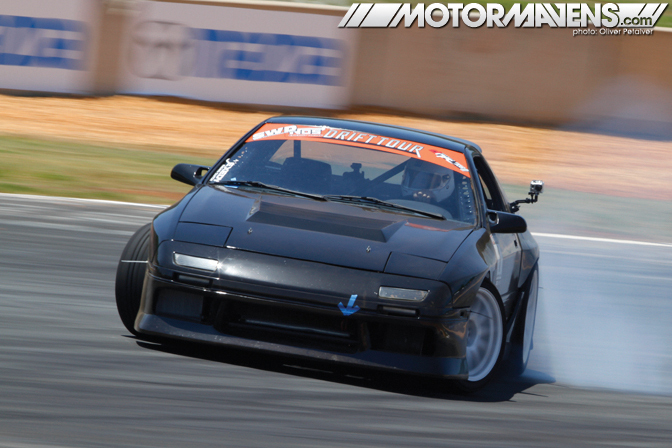 Since a Mustang basically uses MacPherson front suspension and a live axle rear end, the suspension is pretty much the same as an AE86. I love the looks of a Camaro too, though! Amazing coverage bro’s, really wish I could afford/get the time off to make it out there. I had an awesome time out there. 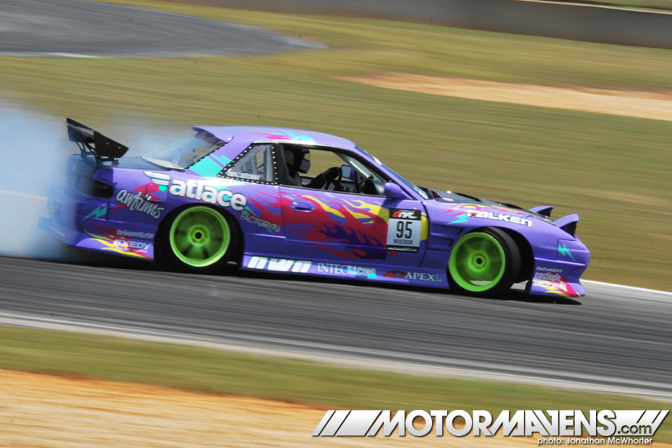 I also had some awesome shots of the drifting action. @ Antonio, I know, I am Antti from Ter-Tech. What’s up, it’s been long time. We still run events from time to time, lately on PBIR track, where FD is next. Jeremy Lowe and Dan Chilton are from Sarasota, Florida. Jeremy works at Lowe’s Performance and Dan works at DCW(Dan Chilton Welding) Both do amazing work and have awesome cars. Yes, Pat is from florida. This is basically his 3rd event with that car. He let someone drive his old coupe a few months back at local event and they crashed it. SO it’s been a lengthy process getting this car together, i belive this is his firt event with full body panels.